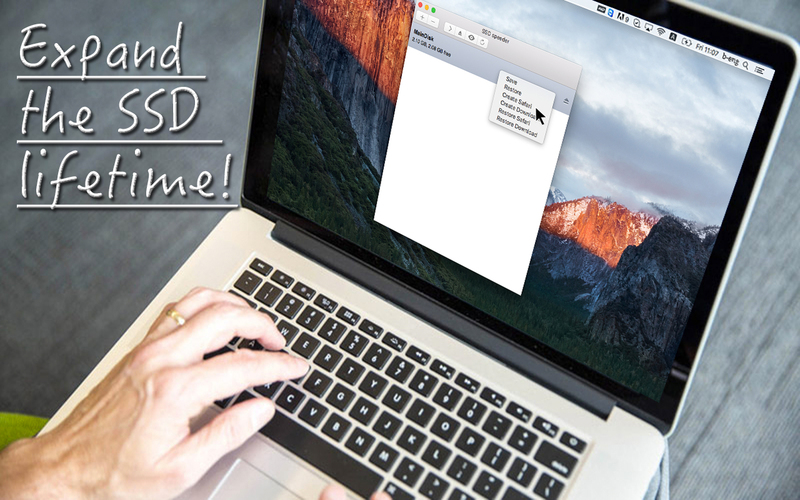 You have just found the perfect application – SSD Speeder helps you to improve the of your Mac! SSD Speeder creates bigger RAM Disk (it is virtual, of course) than you have. RAM Disks can offer power users an amazing level of performance! RAM Disks, as the name indicates, are logical storage volumes created using a computer’s memory (RAM) instead of a traditional hard drive or solid state drive. The benefits are easy to understand: RAM operates at speeds far beyond current hard drive technology. A RAM disk is a virtual disk that only resides in memory, so it is suitable for storing data that needs to live only until you shut down your computer. Temporary files are ideal for this. Despite this drawback, there are still several situations that can greatly benefit from the speed of a RAM Disk, including using it as a Photoshop scratch area, manipulating large video files, or testing complicated databases. Just remember to copy your files out of the temporary disk before you reboot or eject the drive so you do not lose anything. 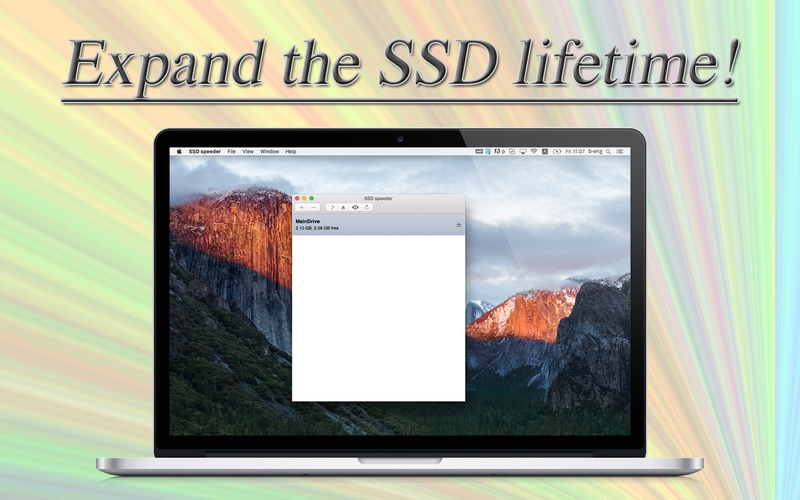 SSD Speeder: boost your System, expand the SSD lifetime and improve Battery time! So buy SSD Speeder just now and enjoy! If you have any doubt, feedback or want to add new features to SSD Speeder, please mail us! Soyez le premier à laisser votre avis sur “SSD speeder” Annuler la réponse.